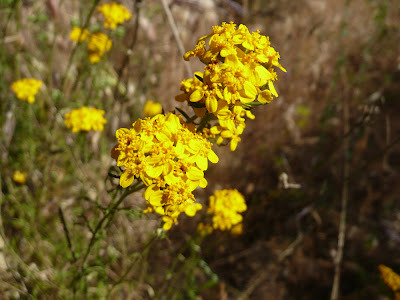 The hillsides of California become ablaze with the blossoming of native flowers in March and April. 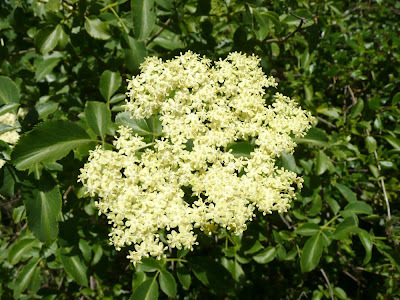 The California Lilac known as Ceanothus and the wildflowers like the Lupine and Poppies start off the colorful festival. To my delight I had the opportunity to experience the bounty of California's floristic spring treasures twice this weekend. On Friday morning I drove over to visit my friend Meghan who lives in the Malibuo Lake region of the Santa Monica Mountains. Meghan is a treat to spend time with, she is a smart and adventurous soul with a warm an loving heart. Her knowledge of California plants is quite vast and she has the mind of a scientist, the heart of an artist and experience of tracking. The sum of all those parts equate a grand time whenever I have the opportunity to visit with her. I drove along Mulholland Highway out to visit my dear friend who is currently working on a masters degree in English and had just gotten back from South Africa. The morning drive was glorious with the blue expansive sky above me and the glorious California landscape dappled with native oaks stretched out before me. Buried teenage memories of treks to Junior Lifeguard Camp at Zuma beach bubbled to my mind and made me yearn for a dip in the Ocean. 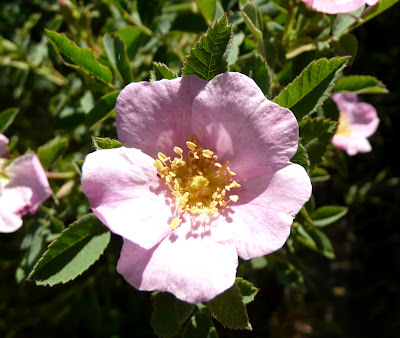 Our mission with Meghan was to find a specific patch of Rosa californica, native wild roses, that grow en masse and were most likely flowering. Meghan had taken me to this same exact location back when I was researching the plant for the Rosa botanical perfume. At that time the flowering shrub was dormant. When we came upon the cluster this past Friday I was thrilled to see them flowering and deliciously seduced by their hypnotic fragrance. 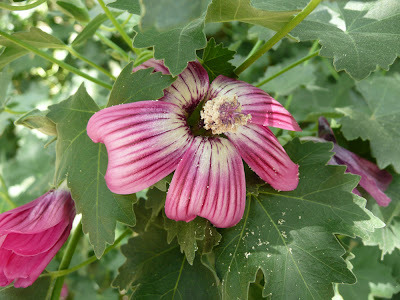 From their we continued our journey along the trail to witness the blossoming of several other native flowers. We also encountered native turtles swimming in the Creek. This natural water source begins in Simi Valley at Hummingbird Creek and travels all the way to the Pacific Ocean weaving it's way through several cities and the Santa Monica Mountains. On Sunday the second adventure into California native plants presented itself as a trek out to Claremont to visit the Rancho Santa Ana Botanical Gardens. I had been told about this vast native garden at the foothill of the San Gabriel Mountains while at a landscape design class at the Theodore Payne Foundation. It took us a good solid hour to get out there with part of the journey along the infamous route 66. The gardens are extremely beautiful and display up to 70,000 plants with 2000 California native species on 86 acres of land. Founded in 1927 this is an ideal location to view the extensive variety of color, texture and pattern. 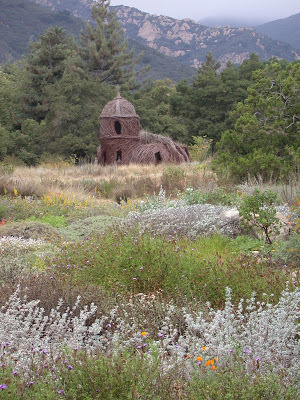 Rancho Santa Ana Botanical Gardens is closed part of the year, so plan your trip accordingly and be prepared for an awe inspiring experience that will open your mind to what California native plants are. Far different from the stereotypical cactus plants that so many associate with Southern California. Photographs©Roxana Villa, opening shot was taken at the Santa Barbara Botanical Garden. 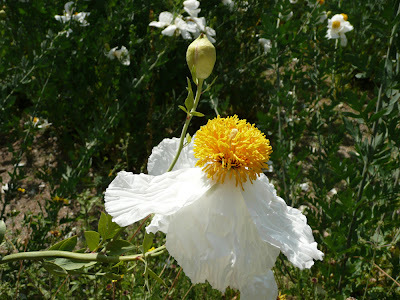 Other photos were taken in the Santa Monica Mountains and at the Rancho Santa Ana Botanical Garden. Just wonderful! Probably the nicest season in Southern California, I guess. I wish I could join you. andy! indeed, it is a splendid time visually and aromatically right now. please come on over, red rover. can you bring some of your heavenly rose with you...pretty please? W is welcome too. hugs and smooches. I use to live in Brooklyn and adore the East Coast. Never know, it may happen again one day!! Perhaps you can take me to the fragrant spot you describe in Newport Lucy? I bet it's glorious both visually and aromatically! I hope this info is useful! Welcome to this journal. If you read through my journal you will notice that I am a member of the Theodore Payne Foundation and a big advocate for native plants. In fact I have quite a few entries about all the numerous benefits. Thanks for your support. Wow, that is such a useful thing to know! Window box gardening in Brooklyn requires tough water/drought resistant plants, because we get very hot in summer and winds against the stone buildings, which act like cliffs, require the toughest flowers. Lucy, I remember those window box gardens in Brooklyn! Perhaps there are some NY native plants that would work well?